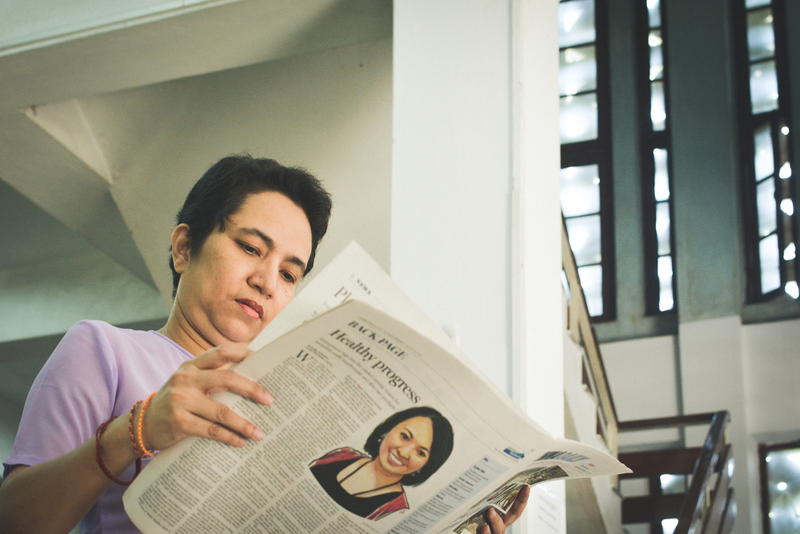 Ms. Daw Yu Yu Tin, head of the Universities’ Central Library (UCL) in Yangon is transforming a traditional library into an e-library. It was not long ago when access to internet was a luxury that only a small part of the population in Myanmar had. But since 2010, when Myanmar began its process of liberalization, a rapid growth in internet penetration, mobile subscriptions, and social media usage started. Although the country’s total internet access is still low, Myanmar’s is shifting their focus from offline to online and social media. Access to digital information such as journals, e-books and databases is one of the biggest impacts in the academic field that the digital shift brings to scholars in Myanmar. Access is crucial for any researcher and student at an academic institution, reason why providing up to date information is one of UCL -Universities’ Central Library goals. However, access is not sufficient without the proper skills needed to locate, evaluate and effectively use the information needed. In the 21st century, the ability to use information technologies effectively to find and manage information is vital for having high quality education. We are now focusing on the digitization of old books and manuscripts, we want to transform our library into an e-library. Daw Yu Yu Tin. Head of Universities’ Central Library. Ms. Daw Yu Yu Tin is the head of Universities’ Central Library (UCL) at the University of Yangon, the biggest academic library in Myanmar. In 2016, despite having just started as chief librarian at ULC, she already had set ambitious goals for the library collection. Along with her team, she is working on the digitization of thousands of documents and ancient manuscripts belonging to the heritage collection of the library. As a chemist graduate, Ms. Daw Yu Yu Tin values the importance of access to digital information for researchers and professors, this is why she is also working closely with the AGORA program to provide training on information literacy to the university staff. During the past year researchers at UCL received training on key trends in scientific publishing in agriculture, fisheries and forestry. These workshops, organized by AGORA with the support of the FAO, World Fish and GODAN, provided an overview of the available research tools for academics in low-income countries. Attendants learnt not only how to use AGORA, but also how to access information using databases such as Google Scholar, Google Books, Aquatic Commons, PubAg, and TEEAL. Transforming UCL into a digital library is a challenge given the low internet speed and the limited resources that the university has. 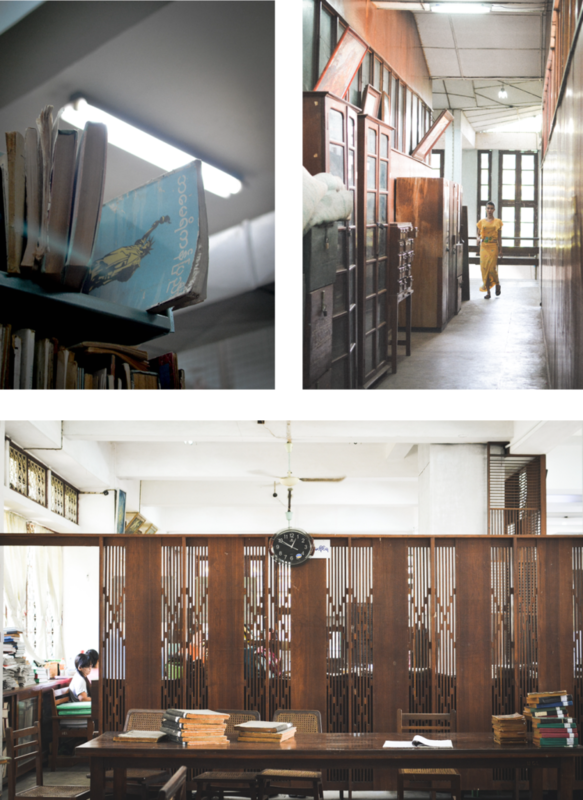 However Ms. Daw Yu Yu Tin believes that it is possible thanks to the support of partners working together and the motivation shown by researchers and students who visit on a daily basis the library. *Stories of Change was made possible through a grant from the Elsevier Foundation.